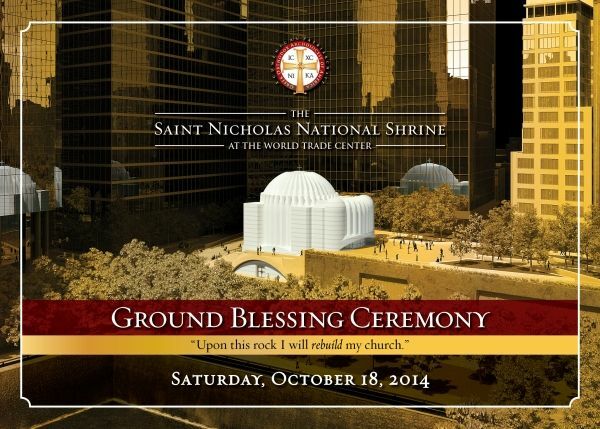 NEW YORK – A Ground Blessing ceremony for the Saint Nicholas National Shrine at the World Trade Center is set for Saturday October 18, 2014 at 12:00 noon. The ceremony will include a combined prayer service of blessing of the site (agiasmos), and adoxology (a service of thanksgiving). For more information visit www.stnicholasgroundzero.org.